You’ve made the decision that the time is right to move jobs. You’ve made a few unsuccessful applications and wonder what you are doing wrong. Often not down to being the best candidate on paper. With the right support and approach you can significantly improve your chances of success. Convert job interviews into job offers. There is no right way for every client and support can be tailored. Some use my online 12 Step Formula to Landing Your Next Job with Ease to help them secure that next role. Others hire me on a session by session basis to work on one or more aspects such as CV support or a mock interview. The best way to determine what’s right for you is to set up a no obligation career consultation where we look at your situation and determine what might be the best option for you. 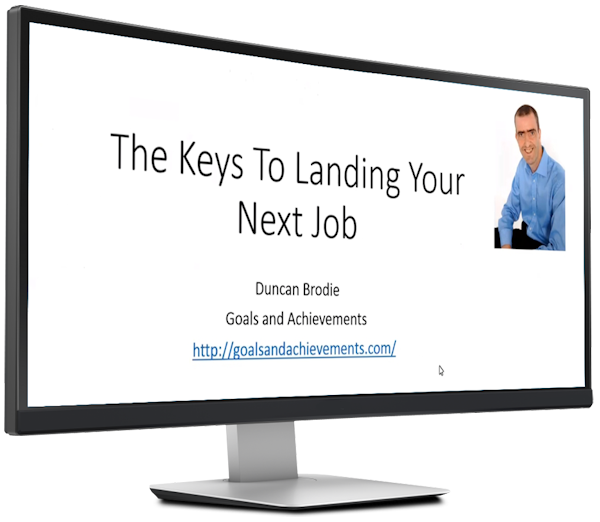 If you are not quite ready to take that next step, enter your name and email below and I’ll send you a copy of my webinar The Keys To Landing Your Next Job.